Swimming is a great activity for the whole family to participate in together. Have fun splashing around and practicing the life skill of swimming, a great way to cool down on hot days or to escape the rain! At Hailsham as well as a 25 metre leisure swimming pool and baby pool we also have a flume and inflatable so there's lots of fun to be had too! For those of you just wanting to wind down we also have a sauna, its a great way to finish off a workout or de-stress from a hard day. Mondays: 6.30am - 9.00am, 12pm - 1.30pm, 2.30pm - 7.00pm, 7.00pm - 8.30pm ladies only, 8.30 - 10.00pm* once a month session not avaiable due to staff training - dates available at reception. have you tried a water based class? Great news! due to popular demand we have added more classes to the timetable! 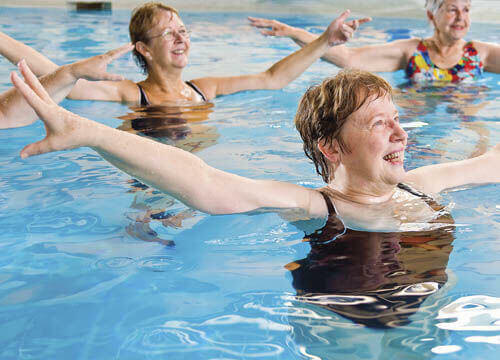 Exercise Referral – Aqua Rehab Course (level1) is more one to one support – for a maximum of 6 people in the flume pool with quiet background music, suitable for those on GP referral and is used as a stepping stone to Water Therapy. Swimming is a fundamental skill that all should learn in order to stay safe near the water. Hailsham Leisure Centre offers a great environment for people of any age to learn how to swim at their Freedom Leisure swim school. 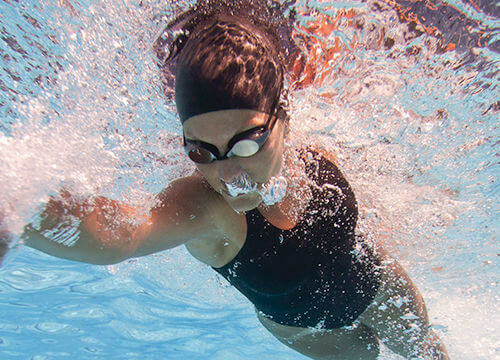 Hailsham offers a wide variety of swimming classes for both children and adults, whether it is to improve your stroke or you're starting from scratch, Freedom Leisure swim school is perfect for all. Classes are taught by qualified instructors, who assess and work towards badges or awards. All children under 8 must be accompanied by a responsible adult. An adult may only take responsibility for a maximum of two children. 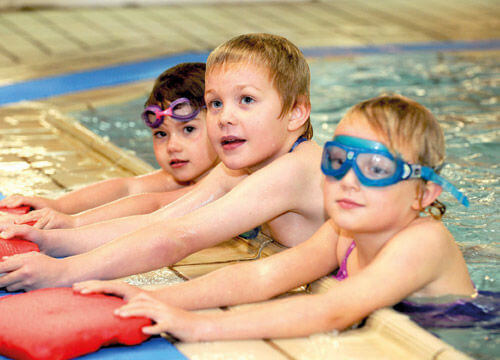 Click here for our swimming admissions policy. I often use the swimming pool in Hailsham Leisure Centre. The facilities are good and the staff are lovely.